AFRO pop diva Masa Caroline is worried at the rate at which most female artistes fall by the wayside once they get pregnant or married. In a wide-ranging interview with H-Metro, Masa said it was still such a shame that most female artistes are failing to maintain the grip after finding love. “It’s a big thing, but most female artistes that I know when they either get pregnant or got married they tend to forgot all about their art,” she said. “It’s not that Zimbabwe doesn’t have female artistes, they are there but they are hidden in homes nursing their children. “It’s also possible for them to take centre stage and sometimes your art is your only way out of a lot of things,” she said. Masa joins a lot of other public figures who are calling for women to stand up through their music or art. However, Masa reckons it’s never easy. “I have been married for four years now and one thing that affected me was lack of a vision, I didn’t have an end game of my music. “But now that I have it, I urge all upcoming female artistes to have it because they can achieve anything much quicker than I did. “The pressure at home or work mustn’t stop you from planning ahead and do the work that’s deserving, wish for family support and the rest will be guaranteed. “Don’t be disturbed by boys or men,” she said. Growing up Masa developed her vocal skills whilst leading her school sports team. “Looking back, as a young a girl I developed a passion for music when I became the president of the school choir and would lead the school sports team. “This is where I got my greatest inspirations to sing although I was not a sports person,” she said. Although she might appear urbane on stage, the singer says she grew up selling tomatoes for a living. “I used to go to Mbare to buy tomatoes and sell them by the street corner even when I was in primary school I would sell sweets and freezits during study breaks. “I was always selling something since I was 11, I personally made that my first job,” she said. After high schoo,l Masa enrolled into a school of hospitality. “I always wanted to do hospitality so after high school I went to Bulawayo School of Hospitality where I spent four years training. “I came back to Harare and had my first job in 2011 and worked my way up the ladder. “I rose from being a switchboard operator, receptionist, cashier, front office supervisor, food and beverage assistant and finally became food and beverage assistant manager which was my last post in hospitality. She said she had her first try in music at the open mic sessions. “However from December 2011 up until 2016 I used to attend the open mic sessions at Book Café and this is where I got more confident with my singing. Her musical journey started with a knowledge of three chords on the guitar. “I was nervous on my first Open Mic session, I knew only three chords on the guitar and that’s all I played that night. “I knew I never sounded okay so I never went back there only to return after six months in 2012, then I became consistent with my music. “I would go there every Saturday and Monday until it became a culture,” she said. She said she used the platform to build her confidence. “I used my music as a tool for my own benefit because naturally I am talkative person but struggle with being shy whenever I hold the microphone. “My first breakthrough came when I was asked to close for a Sisters Open Mic Session and was the headline act. The singer joined her first group in 2013. 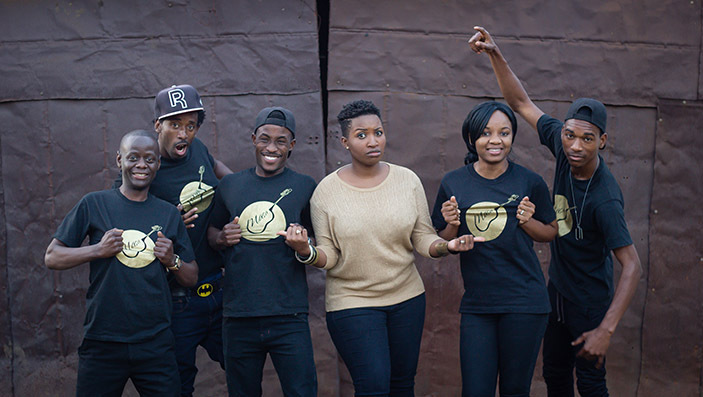 “After getting used to the stage, I then joined a gospel group called Sunset Jazz Band as their lead vocalist. She formed her own band in 2016. “So in 2016 I formed my own band but surprisingly the band doesn’t have a name yet but we all just go under the name Masa Caroline. Masa once had her chance with local talent shows. “I once entered into almost every local talent show but never came close to the top 10. “From A-Academy 1, 2 and 3, Starbrite and Zimbabwe Got Talent among others but never made it. “That did not even stop me from realizing my dream of becoming a musician I kept consistent saying to myself that even if I don’t win I got experience of standing in front of people,” she said. Masa had her first EP titled The River recorded in 2016. The EP had songs like Ndiwe, Ndega and The River. She is working on her debut album this year and has also revealed on a new love which is dropping before Valentine Day. Her album will be due in May this year. She is also working with Zayan Black on an Ndiwe song remix. 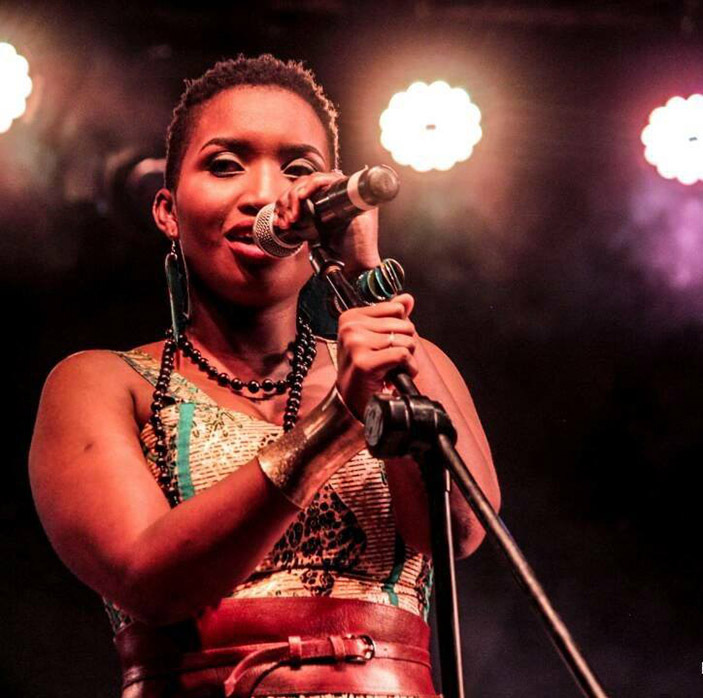 The singer is also expected to make her debut appearance at the Okavango Music Festival in Botswana this August. She has also started a Music In Schools Trust (MIST) project, a brain child she awaits to begin rolling out in rural schools this month. She said she would love to one day work with David Guetta, Black Coffee, Thandiswa Mazwai, Hope Masike, Mokoomba, Prudence Katomeni Mbofana and ProBeatz. “I got my musical influences from my mother’s side, they are all Adventists and they must have gave my confidence in singing. “My father gave me my bubble and all my entrepreneurial skills and spirit, he is always selling something,” she said. She says she is a ‘Tom Boy’ at heart and it will never leave her at any time. “I have tried to hide it but sometimes it’s hard I will always find a way to dress that way. “I am just a ‘Tom Boy’ at heart and I hate wearing heels. “I have a pair I only wore once in a whole year, that’s who I am.